Rowing New Zealand acknowledges the sad passing of Darien Boswell, an Auckland Rowing Club life member and former New Zealand Rowing representative. Darien rowed for New Zealand at the 1962 Empire Games, winning silver in the men's coxed eight. He also competed in the men's coxed four at the 1964 Tokyo Olympic Games. 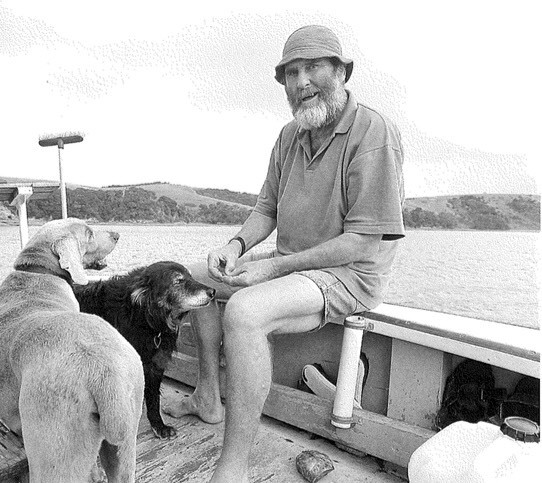 A memorial service will be held for him on Friday 16th Feb at 2.30pm in the Turner Centre, Kerikeri. Our thoughts go out to Darien's family and friends at this hard time. The tribute below was provided by Auckland Rowing Club. One of The Auckland Rowing Clubs great stalwart and member has died yesterday (Sunday 11th February) at his retirement home at Kerikeri. A private cremation of Darien was held by his family today in Kerikeri. We will keep all of our members up to date with regards to Darien's memorial as we get to understand them. In the meanwhile the executive and members of The Auckland Rowing Club would like to pass onto the family of Darien our most sincere condolences. The crew of 1964 Henley 4 celebrated their 50th reunion at The Club 3 years ago where Darien was present and offered a few insights to that memorable race. Rest in peace Darien, we all gained from inspirational people such as you. Darien Boswell joined the Auckland Rowing Club in 1957 at Okahu Bay after rowing for Auckland Grammar School. He progressed to rowing for NZ in 1961 and represented NZ at Empire Games in eight at Perth 1962 getting a silver medal. He was integral member and spokesperson for Auckland Rowing Club four with won Prince Philip Cup at Henley Royal Regatta in 1964. He was member of Auckland Rowing Club four that won NZ champs 63,64,65,66 and Auckland Rowing Club eight winning 66 and 68. He represented NZ in four at Tokyo Olympics and NZ eight in Australia in 65 and World champs in Bled Yugoslavia in 66. Boz was an enthusiastic rower and leader in every crew he rowed for and his memories remain. When he retired from active rowing he was manager of NZ junior and senior crews overseas and was an active participant with the organising committee for 1978 World Championships at Karapiro.